The Biodiversity Heritage Library (BHL) is pleased to welcome the University Library Johann Christian Senckenberg as a new Affiliate. 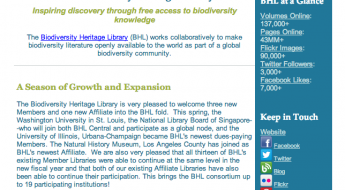 The University Library is the first German library to join BHL as an Affiliate. The University Library Johann Christian Senckenberg serves as the Central Library of the Goethe University of Frankfurt am Main and functions as an academic library for the City of Frankfurt, a university library with several state commitments for the Rhine-Main region and Hesse, and is a major participant in the national supply of literature. The University Library’s Biology Collection comprises excellent holdings of historic and modern biodiversity literature, representing some 400,000 volumes on a wide range of biological subjects. The collection is constantly expanding thanks to the Library’s own acquisition efforts, co-funding by the German Research Council (DFG), and exchange activities with the Senckenberg Gesellschaft für Naturforschung. In 2007, the Virtual Library, comprised of catalog data and online resources including databases and e-journals, was launched to increase visibility of the Biology Collection. 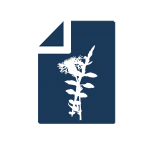 The University Library has a long history of collection digitization and provides access to a large corpus of digitized literature through its “Digitale Sammlungen” portal, including a notable collection of German botanical journals from 1753-1914. In 2017, the Specialised Information Service Biodiversity Research project (co-funded by the German Research Council DFG) was established to enhance access to the Biology Collection. 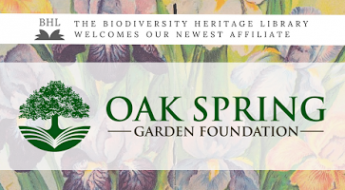 Through continued literature digitization and the development of new services including text mining tools to mobilize data within the literature, the project aims to build a bridge between historical holdings and modern biodiversity research. 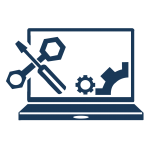 As a publicly-funded organization, the University Library Johann Christian Senckenberg is committed to free and open access to research literature and the knowledge contained therein. 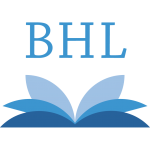 As a BHL Affiliate, the University Library will expand BHL’s corpus by contributing content from its rich Biology Collection. 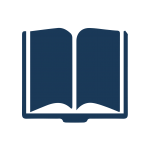 By enabling free access to Central European biodiversity literature, the Library will significantly enhance discoverability of knowledge contained in a segment of literature which is not yet satisfactorily represented online. See the press release from Goethe-Universität Frankfurt am Main (German language). See an English version of the press release on IDW. Learn more about the University Library Johann Christian Senckenberg. Learn more about the Specialised Information Service Biodiversity Research project. Grace Costantino is the Outreach and Communication Manager for the Biodiversity Heritage Library. In this capacity, she developed and manages BHL's communication strategy, oversees social media initiatives, and engages with the public to excite audiences about the wealth of biodiversity heritage available in BHL. Great news — the Senckenberg library has an excellent collection of old books and journals !